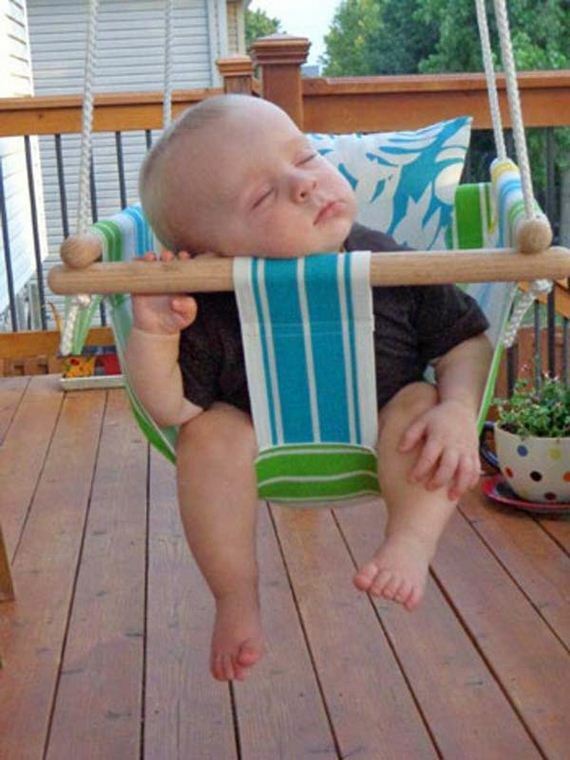 Every time when you are tired, sitting in a swing can make you relax and enjoy. 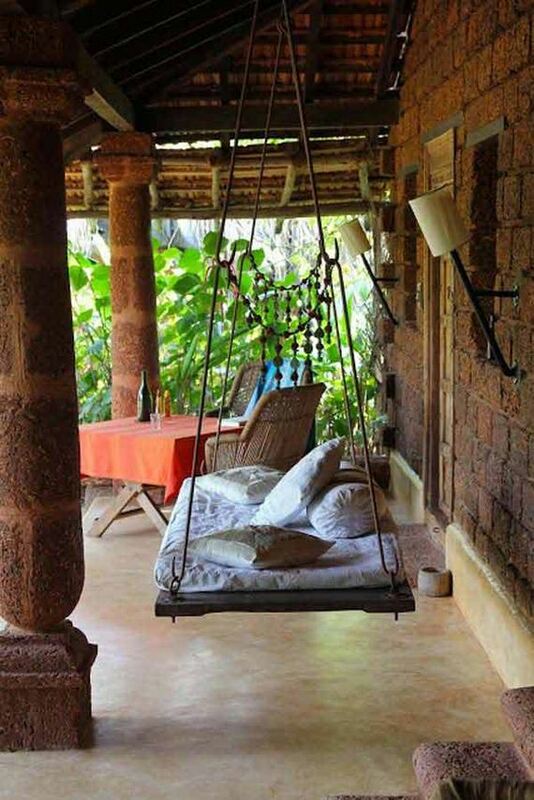 You also can enjoy a quite morning coffee, read a book or just enjoy the sun in a swing. 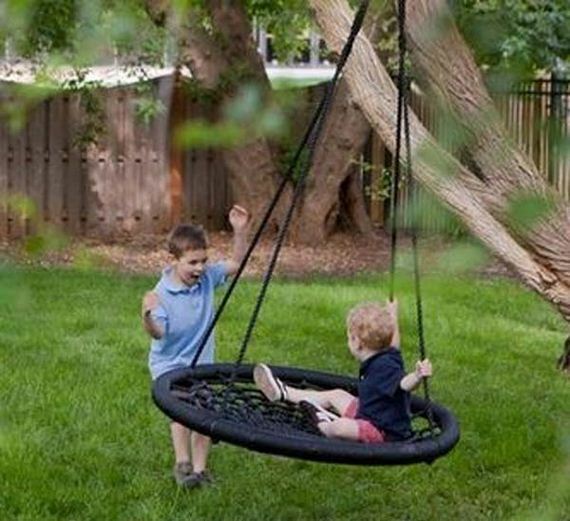 A swing is such a thing loved by both the young and old. 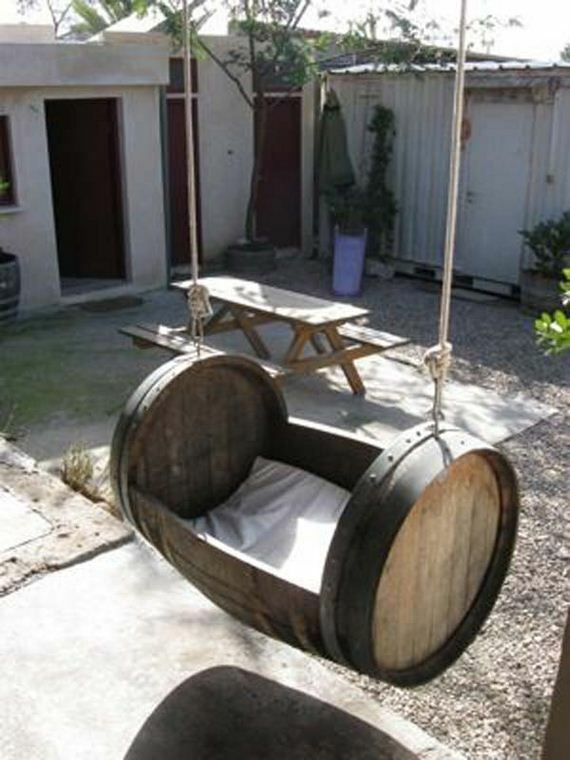 So why not make your own swing? 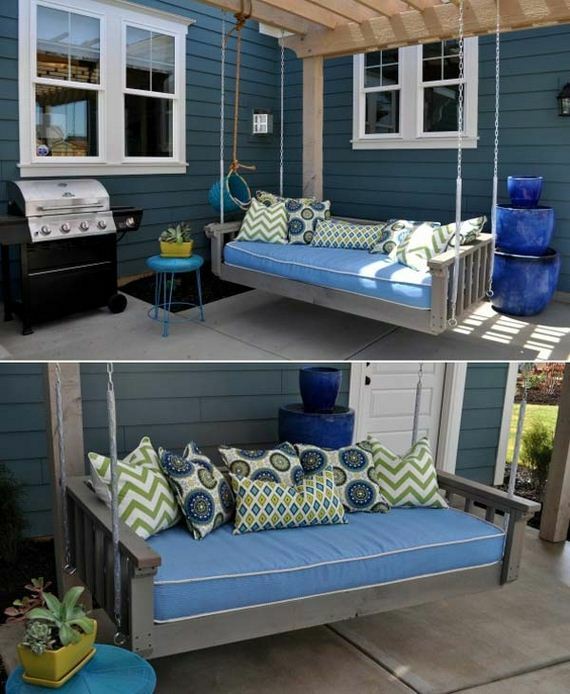 Yes, you can make it according to your needs and desire. 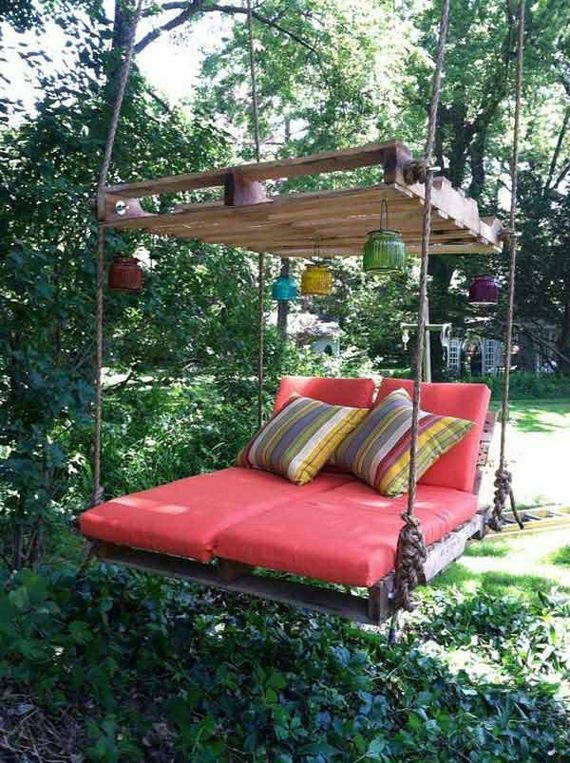 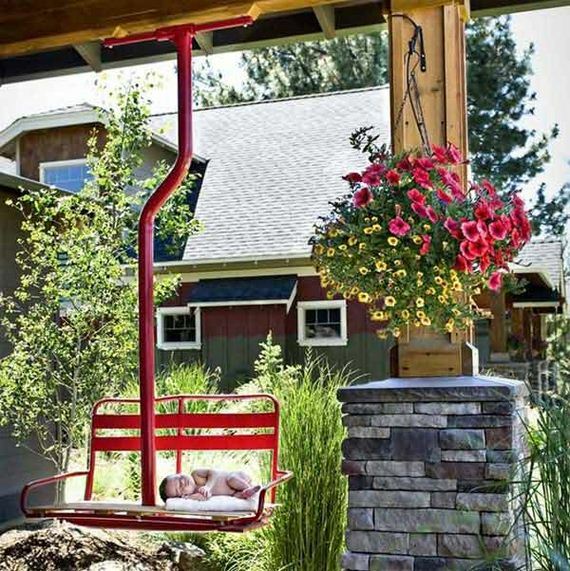 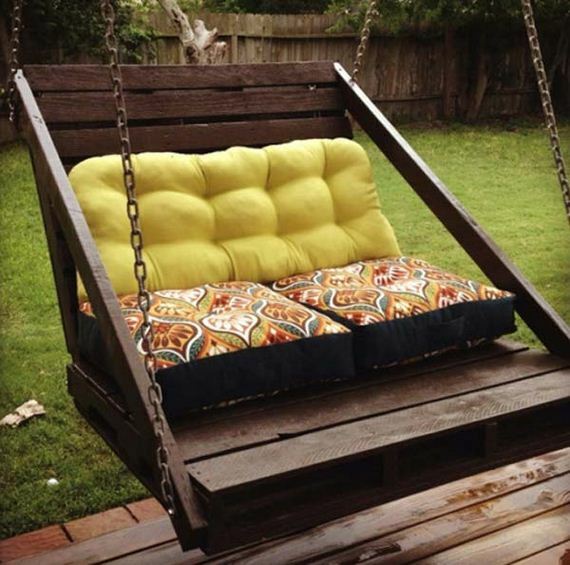 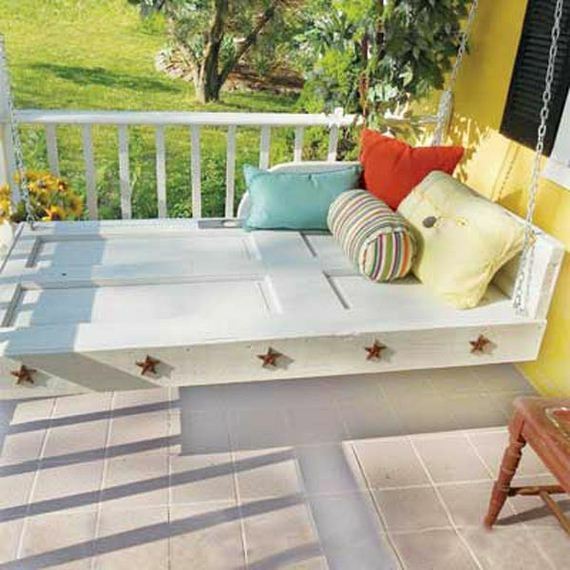 If you have a garden, back or front yard, a vacant porch, or patio, you can decorate it with a swing. 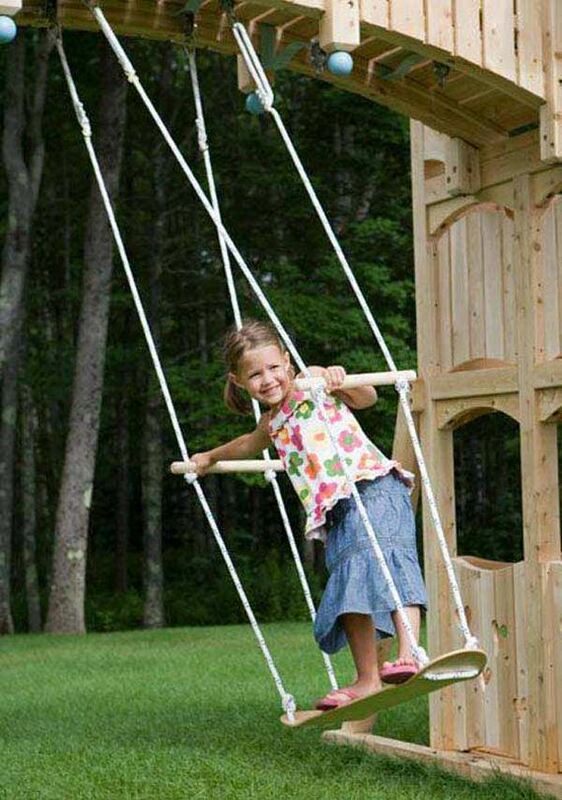 Kids will also fall in love with it and love playing on it. 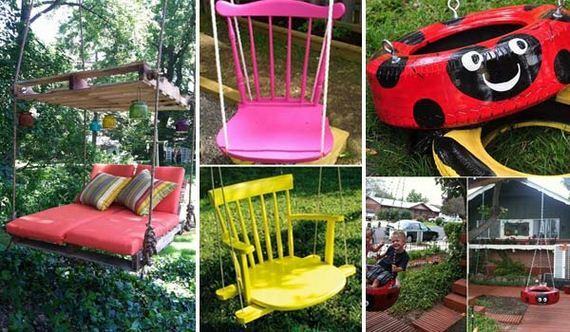 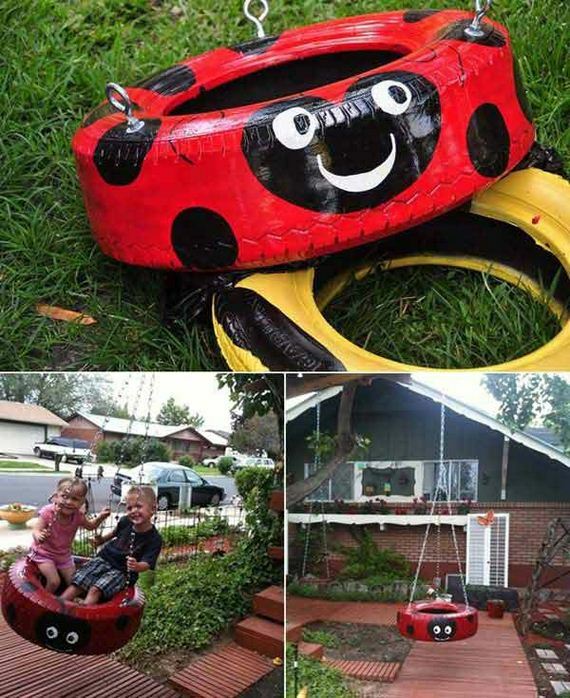 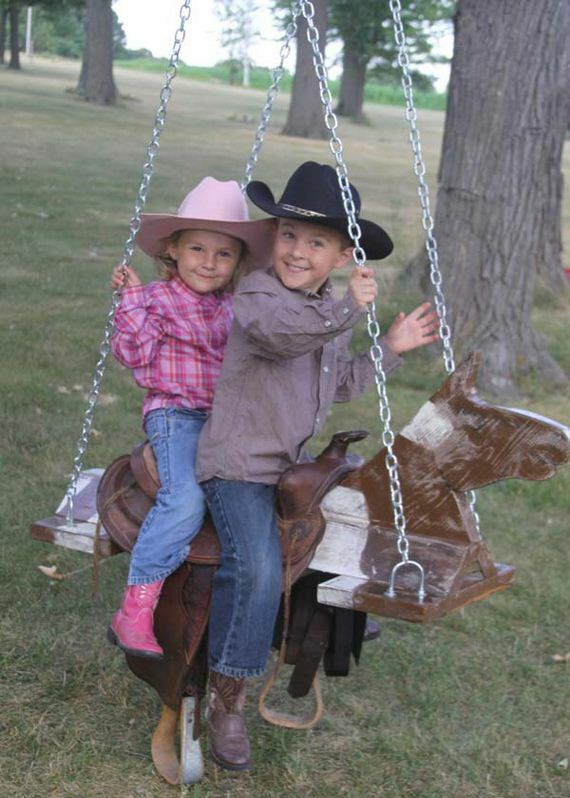 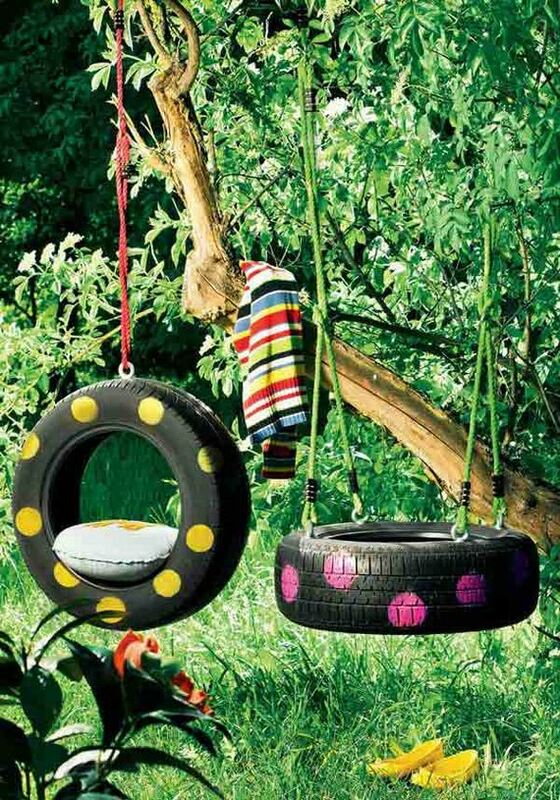 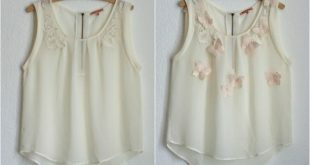 Here we have 22 DIY swing ideas for you and your kids. 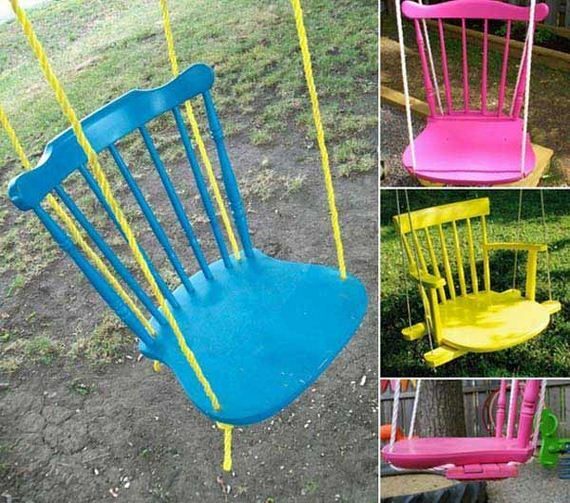 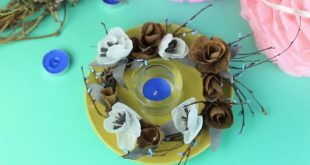 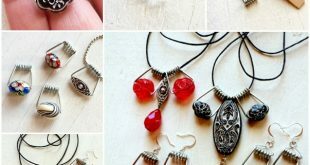 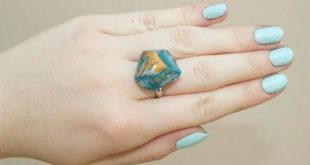 You will be pleasantly surprised that all your ideas can be found the work around here. 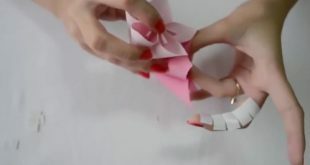 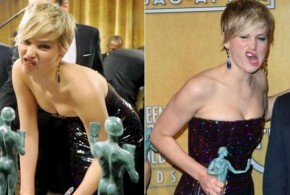 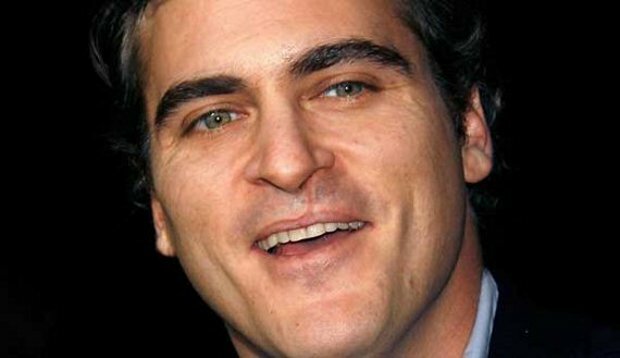 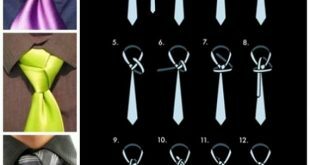 More important, they are easy and wonder. 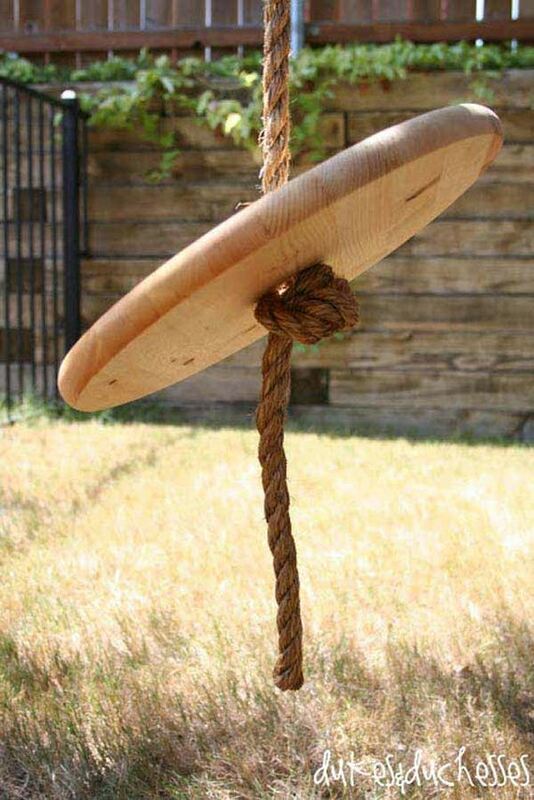 So come and enjoy. 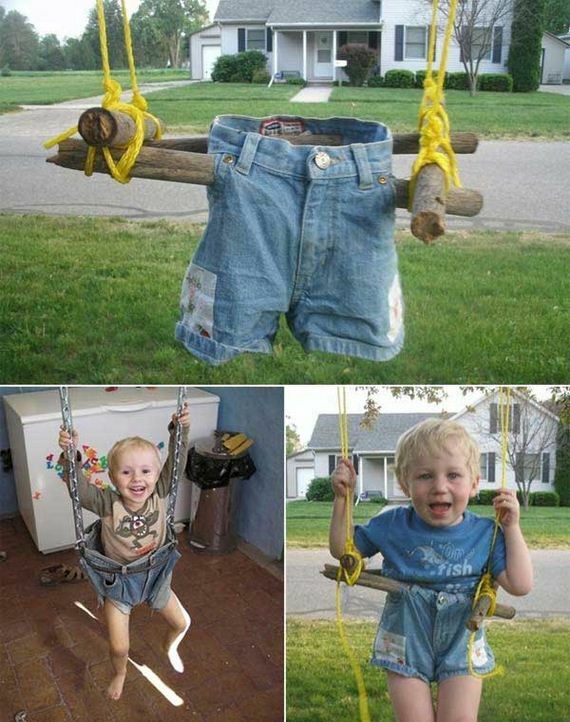 1.Cool denim swings for kids. 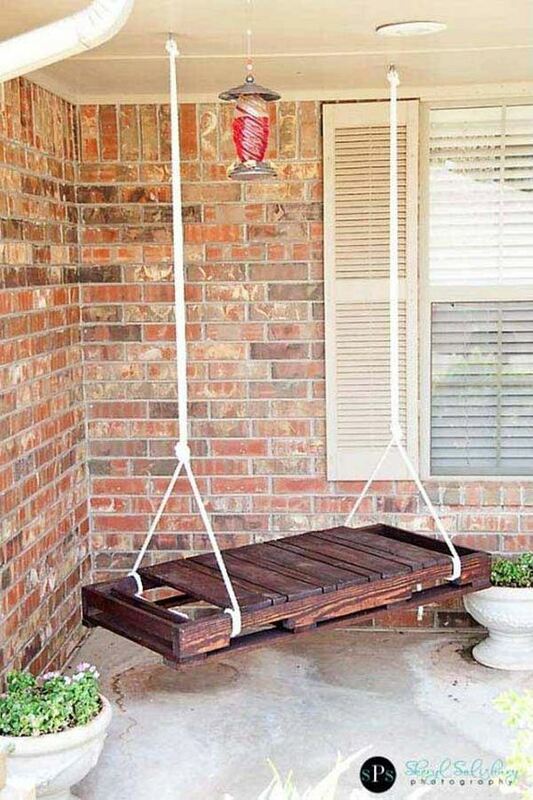 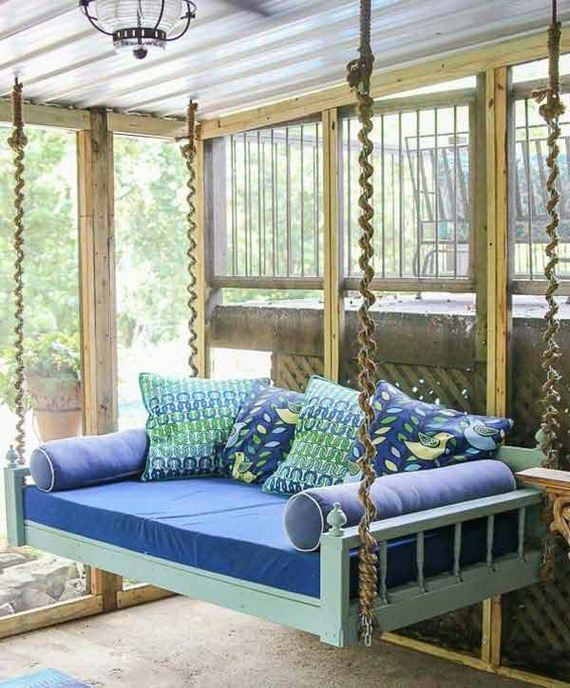 3.Super easy pallet project for a rustic porch swing. 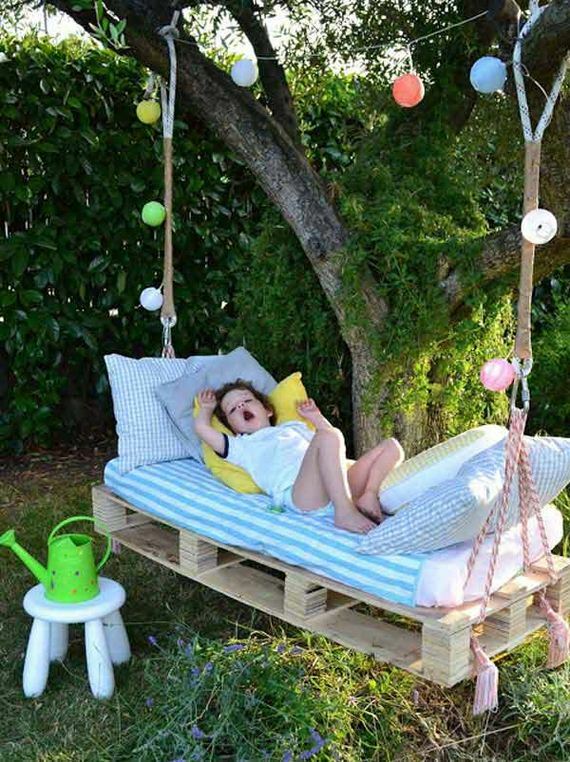 2.Amazing Pallet Hanging lounger with Cushions. 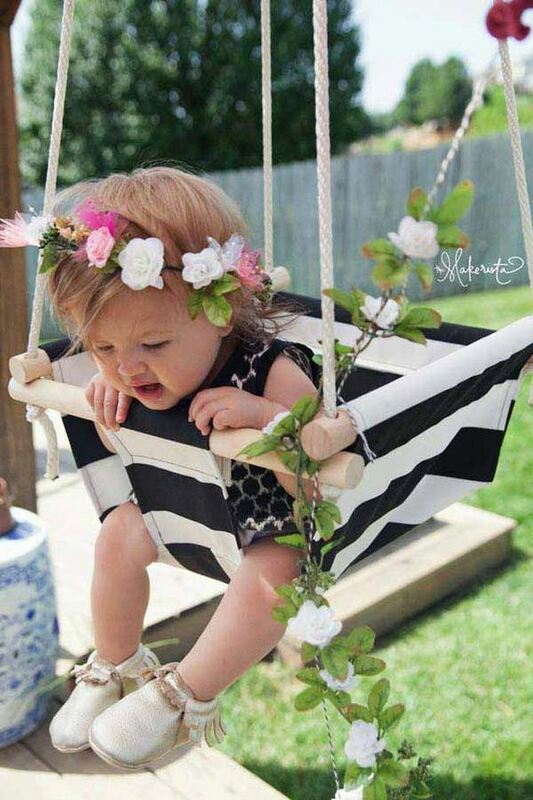 6.DIY baby swing, the striped fabric is perfect. 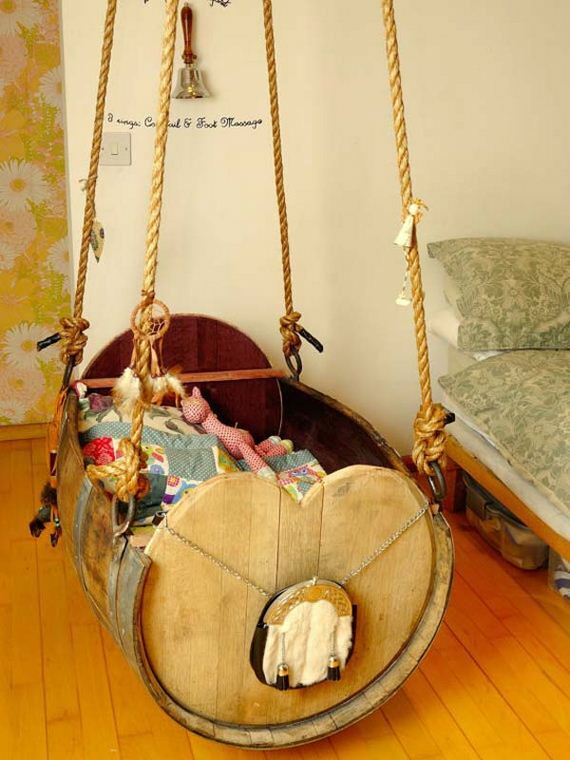 15.Baby cradle from old wine barrel. 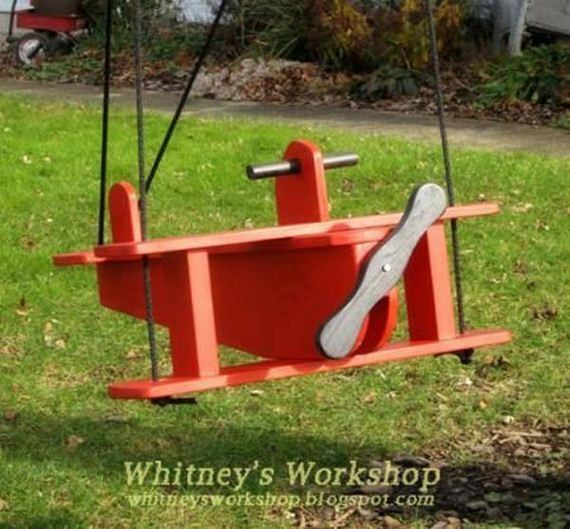 16.Funny Horse and Saddle Swing. 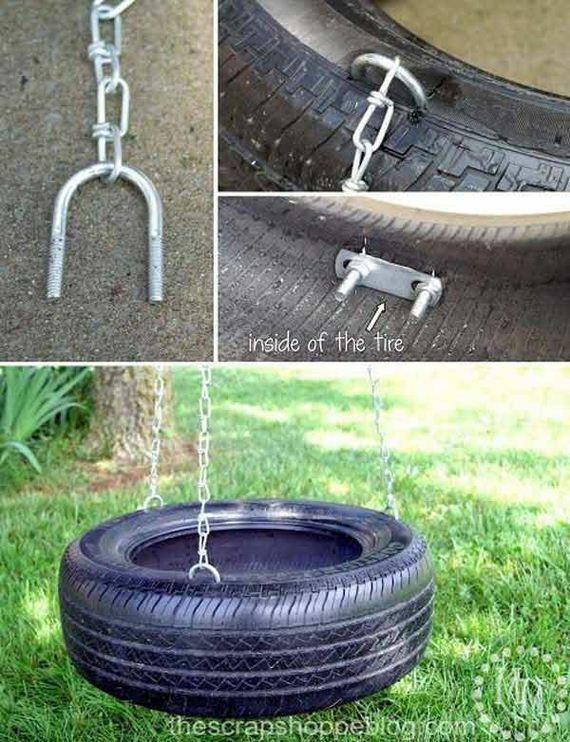 18.Swing and Spin Swing – wonderful alternative to tire swings. 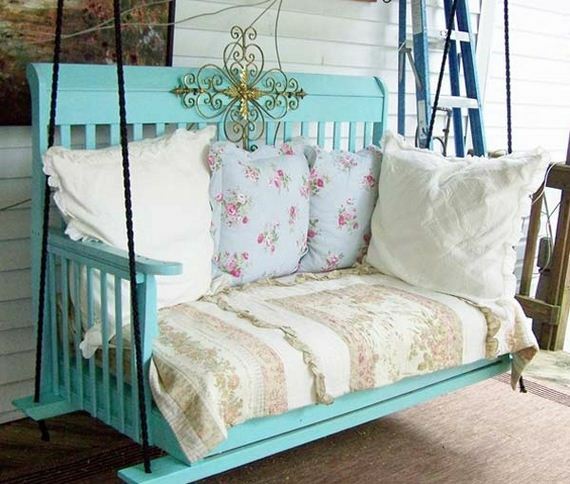 21.Porch swing from an old baby crib.